Stevie Wonder 是詞曲創作人,唱片製作人,他會鋼琴,口琴,鍵盤, congas,鼓, bongos,風琴,貝斯,合成器,歌唱等多項才藝,與 Motown 唱片簽約超過 45 年,擁有 25 座葛萊美獎 (包括一座終身成就獎),超過 30 首排行榜前十名金曲,唱片銷量超過一億張,授勳進入詞曲創作與 搖滾名人堂.以 58 歲的年紀, 12 歲出道的資歷來說,他擁有傲人的音樂成績.已故男高音帕華洛帝曾在音樂會上說 Stevie Wonder 是一位 great, great musical genius. 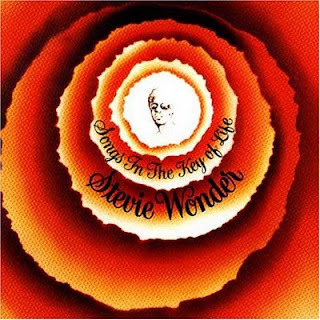 1971 年春天 Stevie Wonder 與 Motown 的合約到期,如日中天的他大可與其他唱片公司簽約,拉抬身價,不過 Wonder 卻決定繼續待在 Motown,續約後他來到紐約,與錄音工程師 Malcolm Cecil, Robert Margouleff 在 Mediasound 錄音室工作, 1972 年 3 月 3 日 Stevie Wonder 在 Motown 旗下發行專輯 Music of My Mind,展現優異成果. 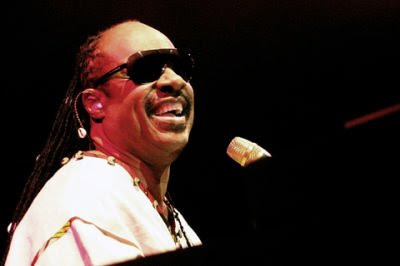 Stevie Wonder 在音樂生涯中學會詞曲創作,錄音與製作,唱片封底寫著這段話 : The sounds themselves come from inside his mind. The man is his own instrument. The instrument is an orchestra. 唱片錄製過程使用 Moog 與 Arp 編錄器,不過聽起來沒有合成器的感覺,那是因為他同時加入鼓,口琴,風琴與鋼琴等樂器,還有傳統歌曲結構與個人特殊的風格. 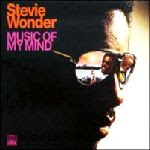 Superwoman 是 Music of My Mind 的代表歌曲, Stevie Wonder 是一人樂團,分飾多角,他曾在 1971 年專輯 Where I'm Coming From 嘗試改變風格,結果 If You Really Love Me 獲得前十名. 不過 Superwoman 的改變更明顯,賦予樂迷寬廣的抒情空間, 1972 年春天 Superwoman 獲得 R&B 榜第 13 名,流行榜第 33 名,專輯 Music of My Mind 獲得 R&B 榜第六名,流行榜第 21 名, 1971-1976 年 Stevie Wonder 發行的六張專輯是音樂生涯代表作,已收藏 Talking Book, Fullfillingness First Finale, Songs in the Key of Life 等經典的樂迷朋友,就更不能錯過 Music of My Mind. 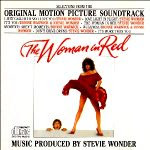 80 年代 Stevie Wonder 的音樂生涯明顯下滑,不過 1984 年 Stevie Wonder 為導演 Gene Wilder 拍攝的電影 The Woman in Red (上圖左) 製作 / 撰寫 / 演唱單曲 I Just Called to Say I Love You (上圖右),則扳回一城 (收錄在同年 8 月發行的同名電影原聲帶 The Woman in Red). 的確呀,沒有網際網路,沒有手機的 80 年代,那是個純真,浪漫的年代,少男少女們透過電話為愛人獻唱抒情歌,是最浪漫,最直接的表達方式 ; 不過難的是在電話撥通前,那種心裡的猶豫 - 會成功 ? 還是被拒絕的猜想,佔滿心頭 - 數度拿起電話,又放下 ; 撥通了,又膽怯的掛掉 ; 撥不通,心裡產生更多疑問.. 接下來,該怎麼辦 ? 撥給軍師吧,討論戰情,希望能獲得意見..
少年情懷總是詩,很美,其實也是很單純的一件事, Wonder 透過歌詞打通電話,說 : I Just Called to Say I Love You. 這份赤子之心,贏得樂迷的信賴與感動,也闡述了『平凡最美 / 有愛相隨』. 儘管這首歌曲使用了 80 年代普遍的合成器與鼓機,與 Wonder 在 70 年代實驗,有組織的經典大異其趣 - 樂評家曾在歌曲發行前齊聲撻伐 - 不過歷史證明 I Just Called to Say I Love You 不僅廣受樂迷青睞,此曲日後成為 Wonder 的代表作之一. 1984 年 10 月 13 日 I Just Called to Say I Love You 榮登美國告示單曲排行榜冠軍,並持續三週 ; 接著登上英國單曲榜冠軍達六週 (此曲是 Wonder 首度登上英國榜冠軍之作) ; 此外, Wonder 透過 I Just Called to Say I Love You 第十度登上美國告示 R&B 榜冠軍 / 第四度登上美國告示成人抒情榜冠軍 ; 同時獲得金球獎與奧斯卡的最佳原創歌曲獎,實至名歸 ! 樹大招風,與 Wonder 合作過的前夥伴 Lee Garrett 宣稱 1984 年前他就寫完此曲,爭議部分增添茶餘飯後話題空間.